Smooth out dry flaky skin and cut down on your morning routine with this skin care-makeup hybrid. 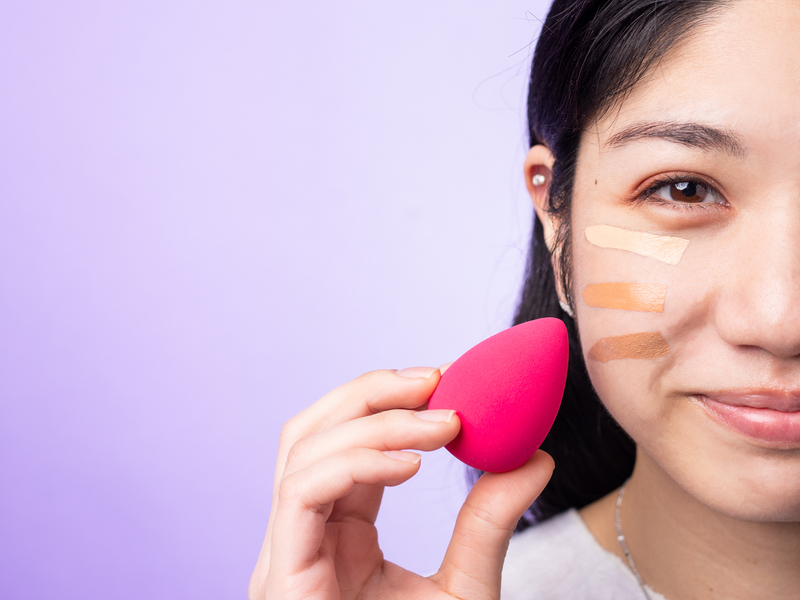 It’s tricky enough to match foundation colors to our skin tones. Not only that, finding the right texture and coverage level can also feel like a bit of a puzzle. Skin concerns such as dry skin, oily skin, acne-prone skin, and aging skin can all pose different challenges when you’re seeking the perfect face coverage product. 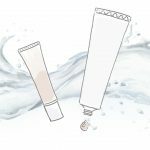 In this article, we’ll discuss the benefits of tinted moisturizer for dry skin types, explore what you should look for in a tinted moisturizer, and share some of our favorite products. Tinted moisturizer is similar to liquid foundation, as both of these products are intended for face coverage. However, a tinted moisturizer tends to be slightly more liquidy, as it’s essentially a moisturizer that doubles as a foundation with light to medium coverage. Tinted moisturizer generally provides less coverage than other face makeup options, such as foundation, BB cream and CC cream. Its job isn’t so much to thickly cover up your skin, as to even out your skin tone and subtly blur imperfections, while providing nourishing moisture to your skin. In light of all this, tinted moisturizer is an excellent option for those with dry skin. It’ll soothe and moisturize your skin throughout the day while helping to perfect your skin tone. It’ll also speed up your morning makeup routine, as it’s super low-maintenance and easy to apply. Tinted moisturizer is also a great option for anyone who wants to get a natural, no-makeup makeup look. If you’re concerned about dry skin, make sure to check the ingredients list on any tinted moisturizer you’re considering. Try to stay away from drying ingredients like alcohols, and opt for products that contain natural ingredients like aloe vera leaf juice and plant oils instead. You may also want to consider how versatile you’d like your tinted moisturizer to be. Some tinted moisturizers will be appropriate for use over moisturizer, underneath other face coverage products, or in tandem with concealer. Are you looking for a super-sheer, lightweight product that provides natural coverage over fine lines and uneven skin tone? A medium coverage option that can be built up as needed to conceal imperfections like acne scars and dark spots? These factors are worth taking into account when searching for the perfect tinted moisturizer. Tinted moisturizers come with a range of different finishes: matte and semi-matte, dewy, etc. If you have combination skin that’s dry in some areas and oily in others, you’ll probably want to stick to a matte or semi-matte finish. For dry skin, a tinted moisturizer with a dewy or luminous finish may help to give your skin a little extra glow. You may want to search for a tinted moisturizer that has an SPF of 20-30 to protect your skin from harsh UV rays. Especially if you have dry skin, it makes sense to shop for a natural tinted moisturizer. The artificial chemicals in conventional products can cause skin damage, and can have harmful effects throughout the body. We recommend searching for a tinted moisturizer that relies on natural plant extracts, oils, and pigments in order to truly nourish your skin, and might have bonus anti-aging properties too. This tinted moisturizer provides light to medium, buildable coverage with a dewy finish. It features aloe and cucumber juice as its moisturizing, soothing base, and also includes a blend of antioxidant-rich ingredients including acai berry, goji berry, pomegranate seed oil, and white tea. To use it, just apply small dots of product to your face, and then blend outwards using clean fingers, a brush, or a makeup sponge. This sheer coverage tinted moisturizer uses a combination of plant oils, including sesame seed oil, avocado oil, and coconut oil, as well as the illusive hyaluronic acid to deeply moisturize your skin. It has a semi-matte finish, and an SPF of 20 to keep your skin protected from damaging UV radiation. It can be used alone or as a primer before applying foundation. This tinted moisturizer provides sheer coverage and intense moisturizing, and is suitable for dry, combination, and acne-prone skin types. Mineral-rich and antioxidant-rich ingredients such as sea buckthorn help repair damaged, dry skin, while calming ingredients like chamomile help to relieve the symptoms of inflammation. Packed with fatty acids and phytonutrients, this tinted moisturizer is best for shoppers whose priority is maximum skin hydration. This tinted moisturizer provides light to medium coverage with a natural finish. Featuring peptides to boost collagen production and an SPF of 30 to prevent skin damage, this tinted moisturizer is ideal for dry, mature skin. It features shea butter, castor oil, broccoli seed oil, and argan oil to hydrate your skin. 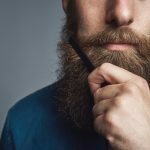 This product can also be purchased in a sample quantity, allowing you to test it out before committing to the full tube. Providing medium coverage and maximum radiance, this tinted face oil moisturizes skin with avocado oil, meadowfoam oil, and jojoba seed oil. It also contains a blend of antioxidant-rich ingredients to brighten, tone, clarify, and repair skin. These botanicals include red raspberry oil, green tea seed oil, and rosehip seed oil. This gentle product is suitable for sensitive skin, making it a great option for anyone suffering from inflammation or irritation. It provides light coverage and a dewy-natural finish. Its moisturizing ingredients include olive oil, shea butter, and soybean oil. This day cream was made for easy, low-maintenance, daytime wear. 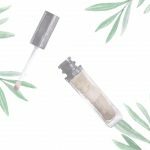 It provides light, natural coverage, making it perfect for your everyday work makeup routine, or for outdoor adventures when you want to look your best. Best of all, it contains skin-healthy ingredients including green tea, chamomile, aloe vera, and avocado oil. As you can see, tinted moisturizer is amazingly versatile and comes in many varieties. Even if you’re all about full coverage, it can be great to have a tinted moisturizer on hand for days when your skin is feeling dry and needs a bit of love.